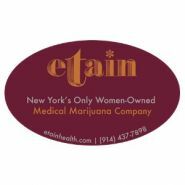 Etain is the only women-owned, family-run medical marijuana provider in New York. Our priority is to produce the highest quality medical marijuana products for patients of New York State. Please visit our website to see our other locations. Etain NYC is located conviently by Grand Central Station, on 39th Street between Lexington Avenue and 3rd Avenue.